This week we upgraded one of our street signs. Moving away from older fluorescent lighting, replacing it with more efficient LED lighting; this upgrade will decrease our electrical use by well over 70%. The 14’ x 8’ street sign also now has a new image with Self-Storage shown in large bold letters, and better highlights our storage services by mentioning our drive-up units, indoor climate controlled units, and reserved vehicle parking spots. 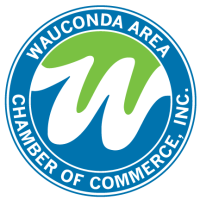 The next time you drive down Route 12 in Wauconda look for the new sign, and let us know what you think.